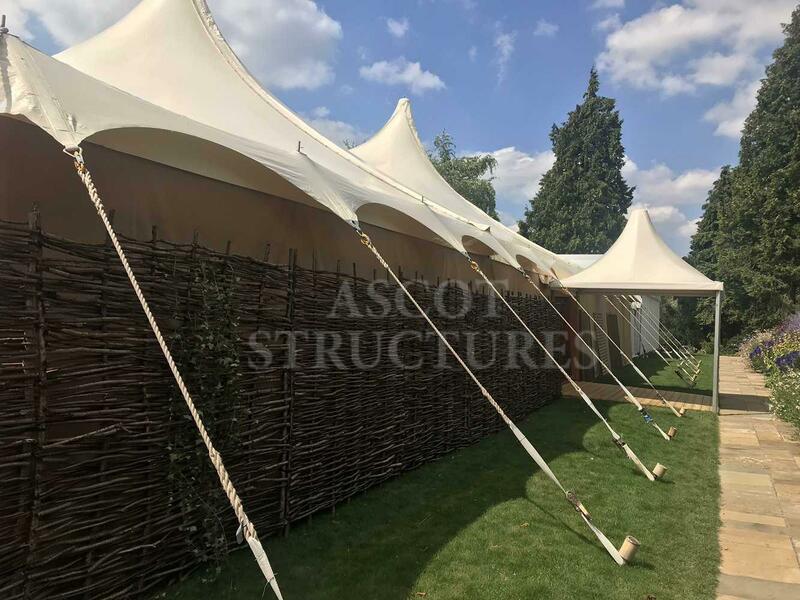 Regulations within the EU demand that flame retardant PVC is used in the production and utilisation of temporary structures, whether for public or private use. 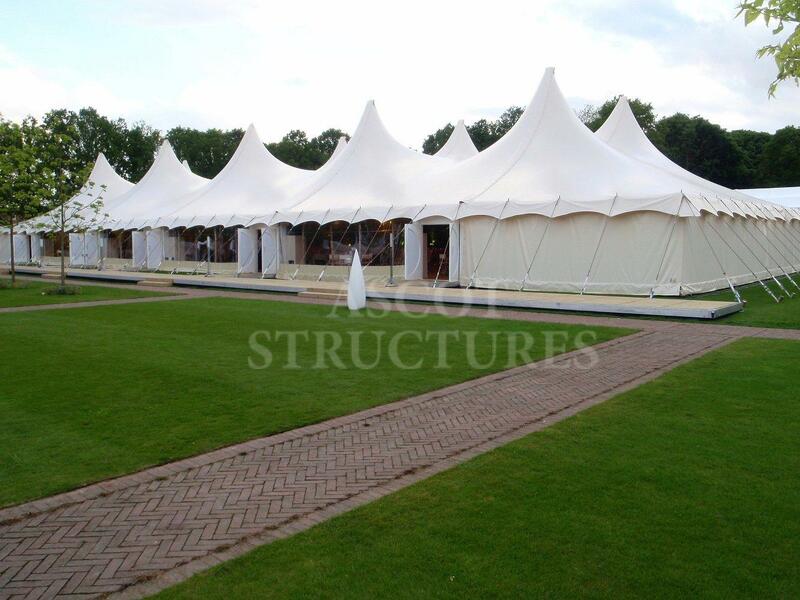 This involves chemical treatment of the material to apply a flame retardant coating. 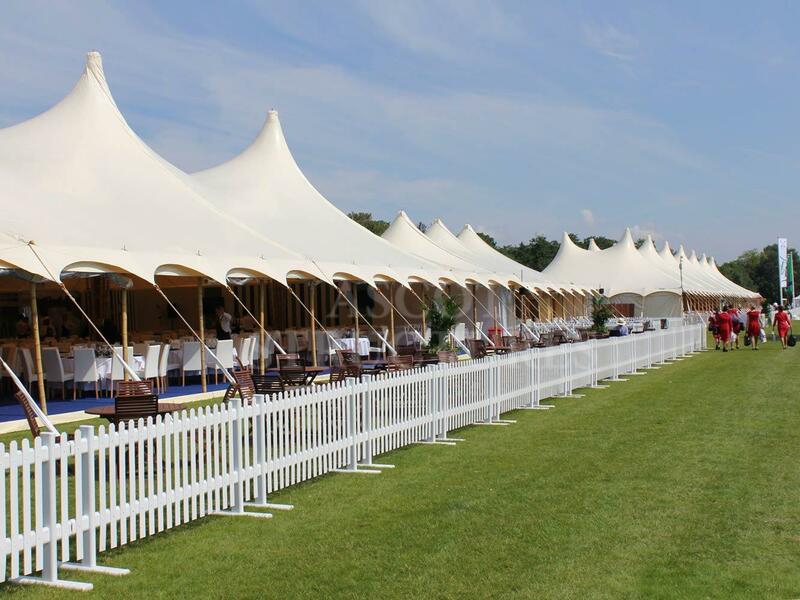 As a result, we use a supplier that re-cycles the PVC at the end of its lifespan, so it can be used again in a myriad of other applications. 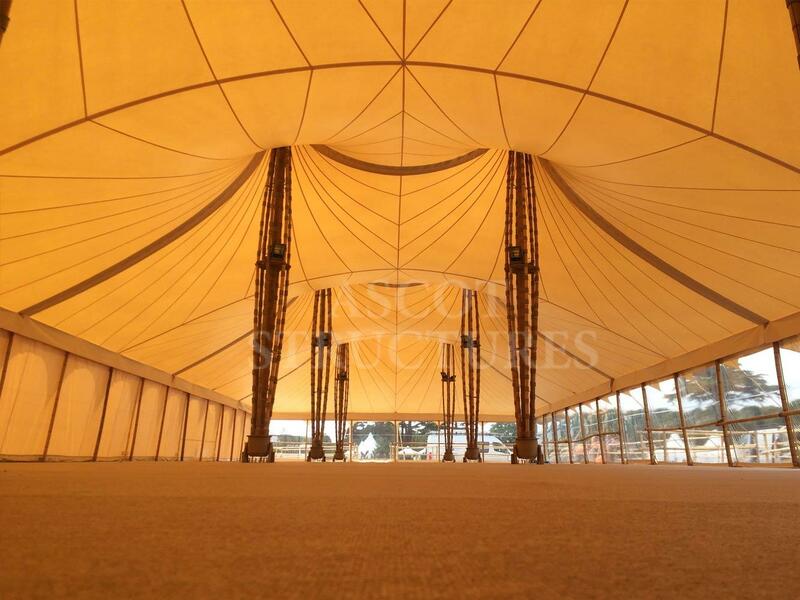 The Bamboo negates the need for expensive linings and if you utilise our bamboo cassette flooring, there’s no requirement for carpet or other floor coverings so reduces waste. 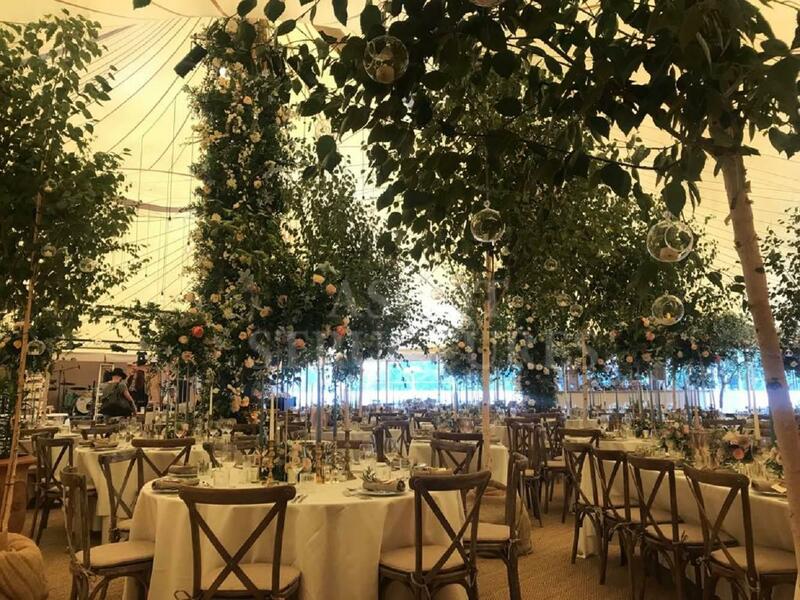 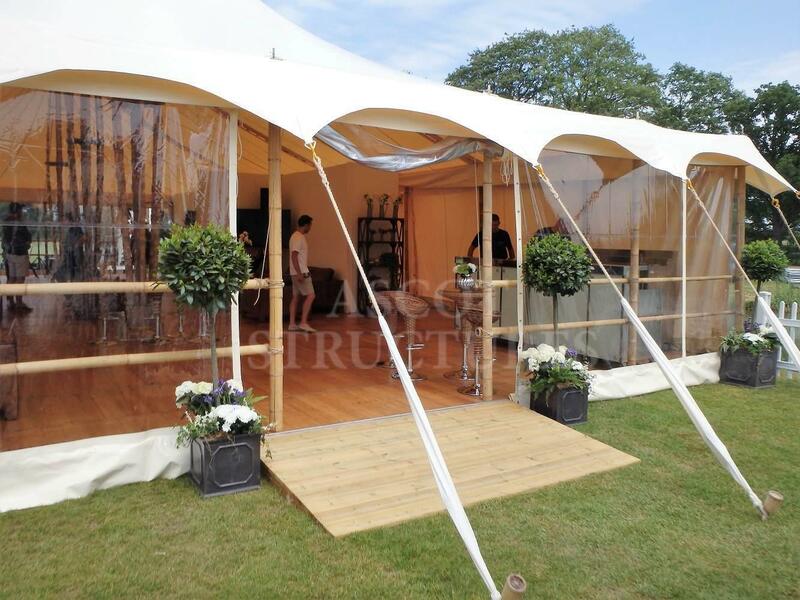 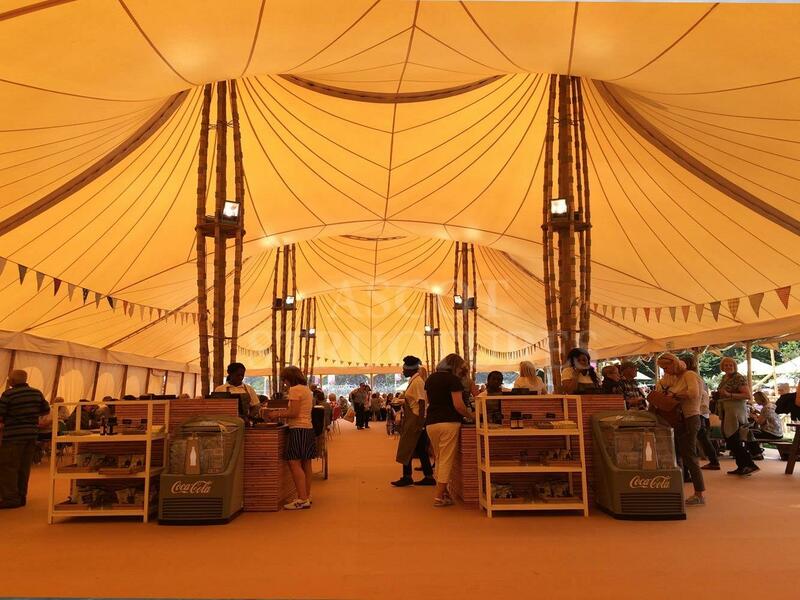 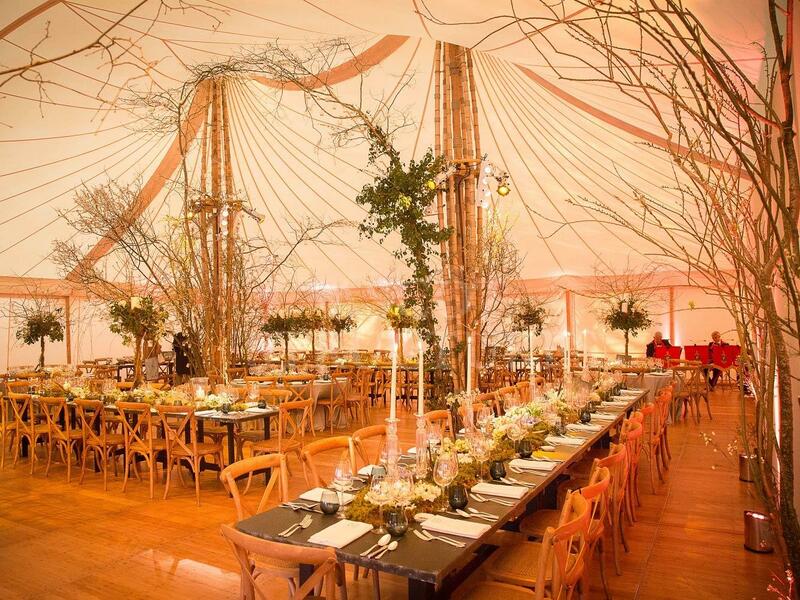 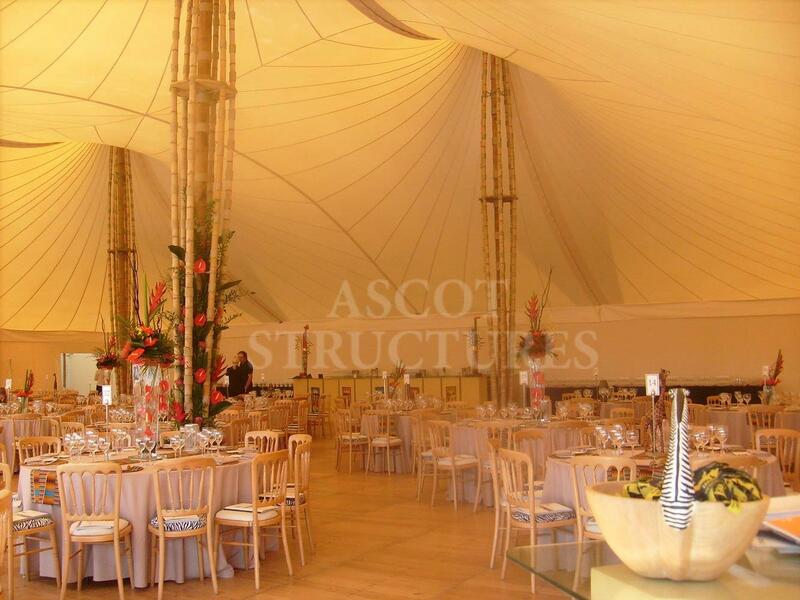 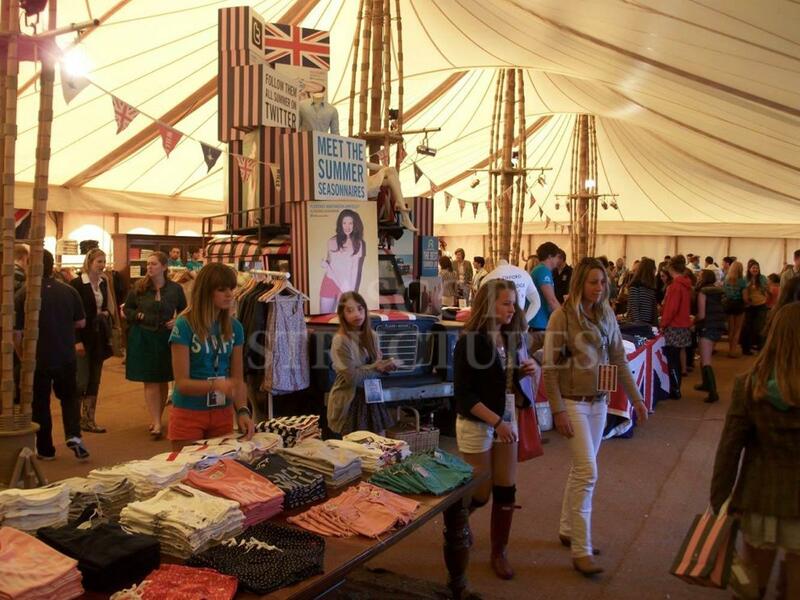 In addition to height and natural light, the cream PVC used with the Bamboo creates a warm glow to deliver events that not only boast a unique look and feel but have solid sustainable credentials. 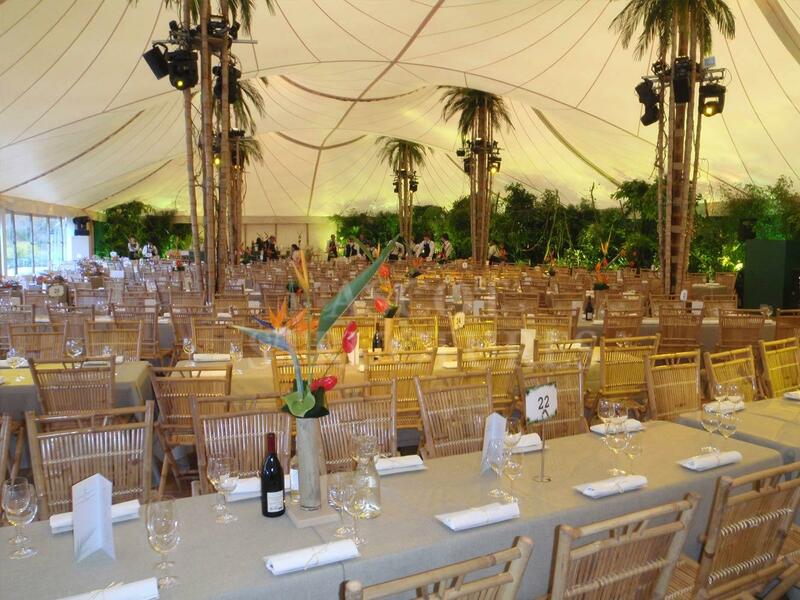 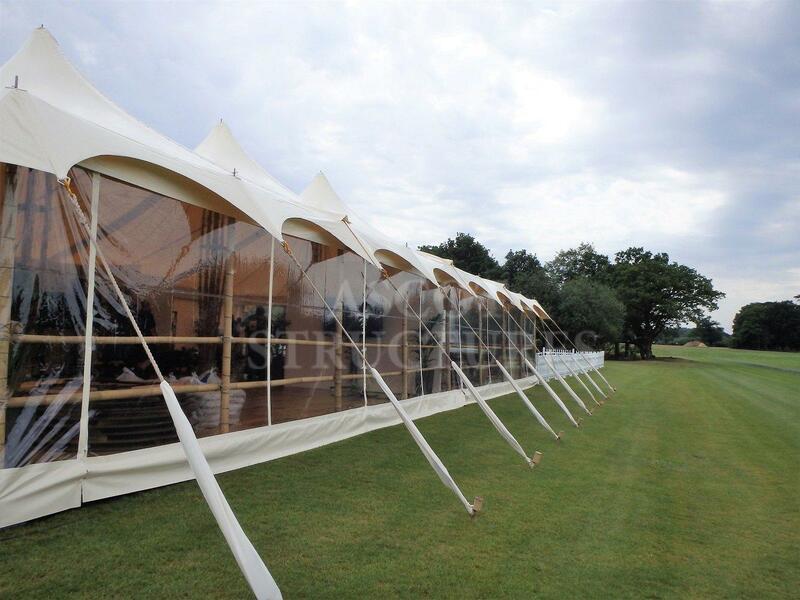 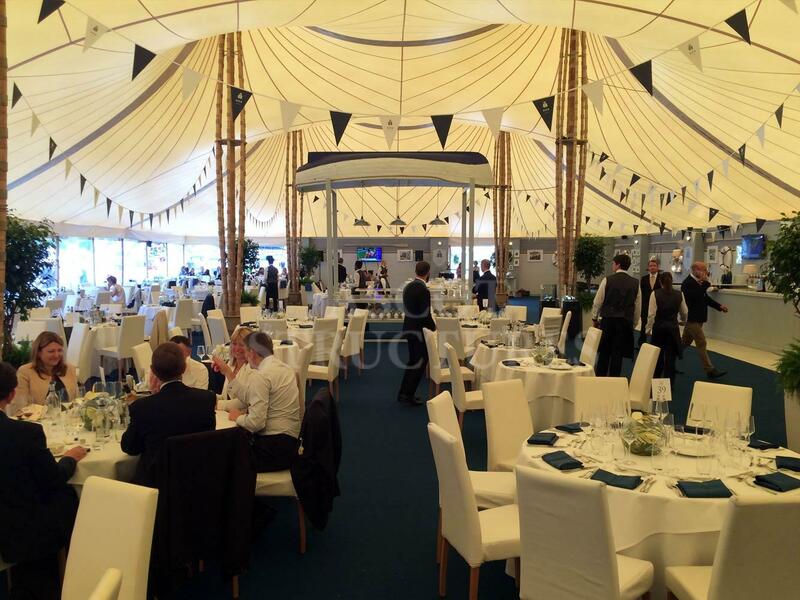 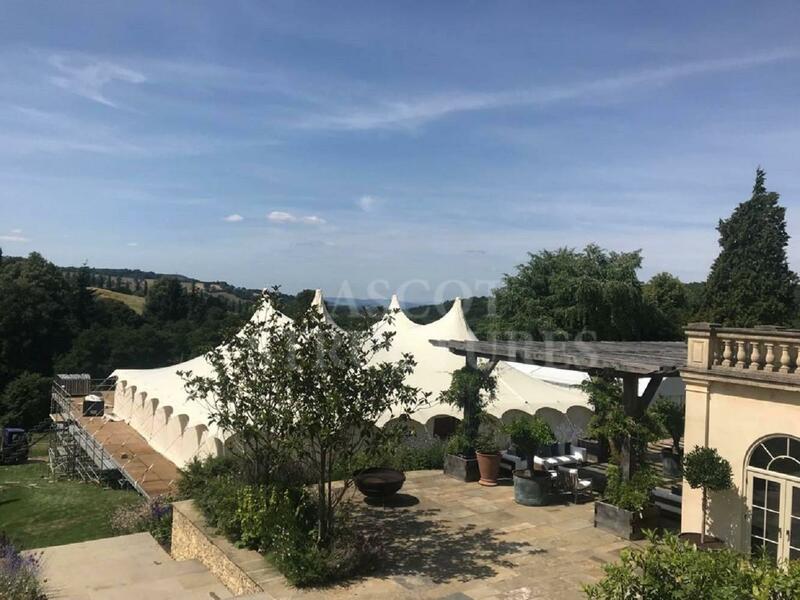 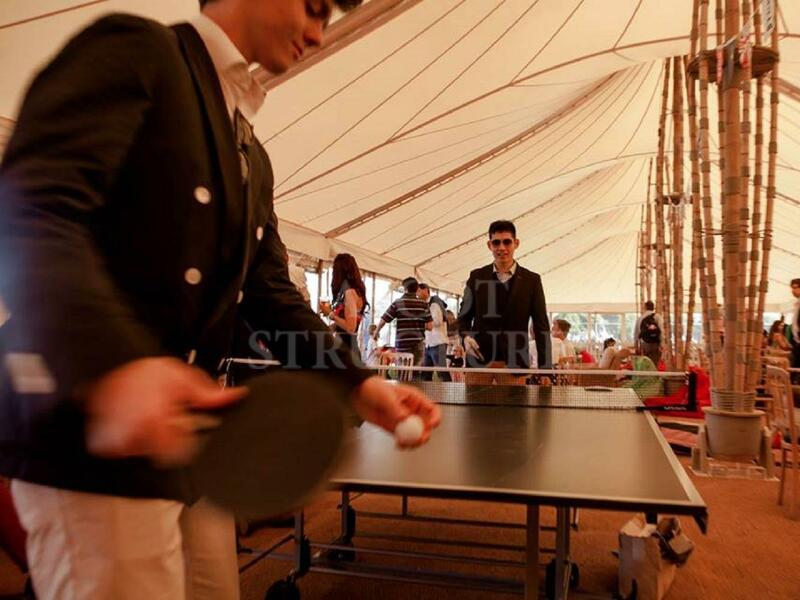 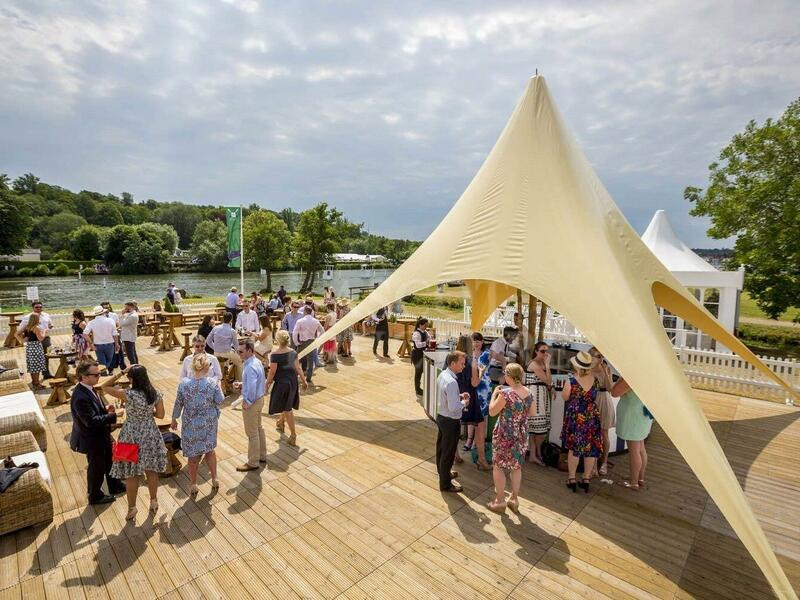 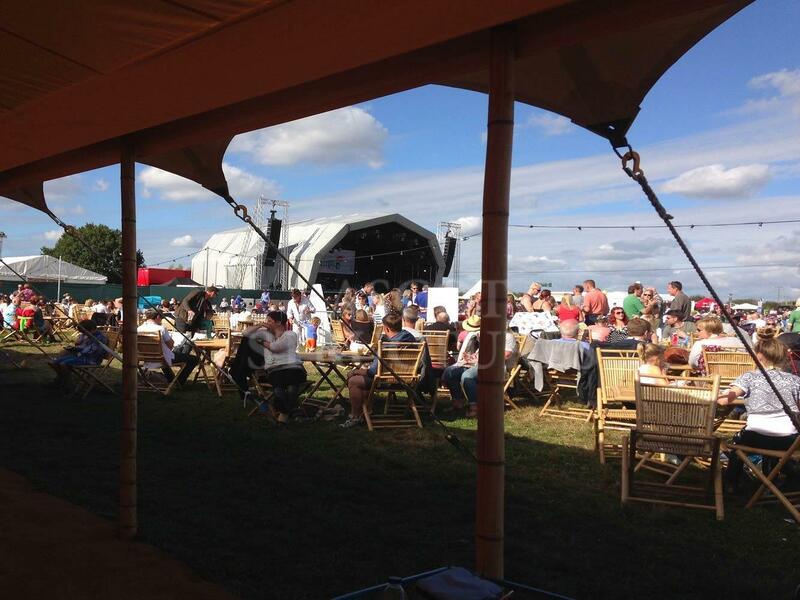 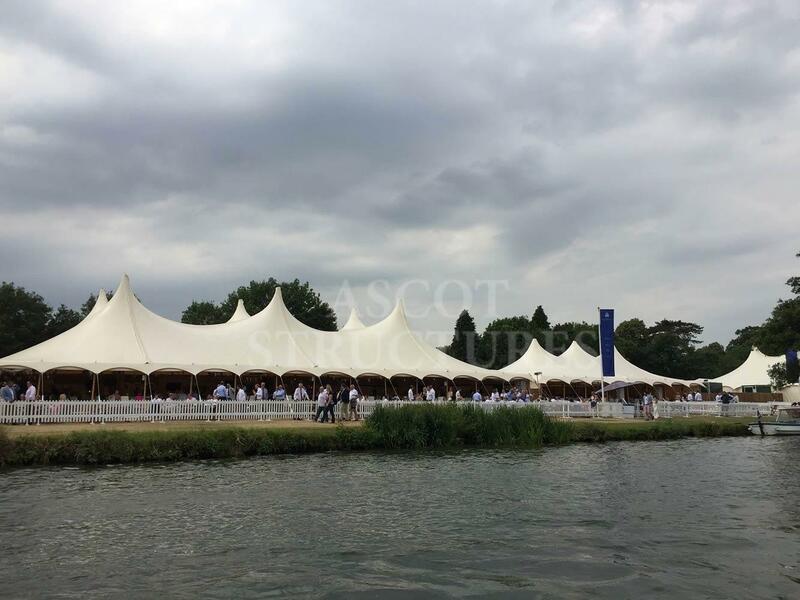 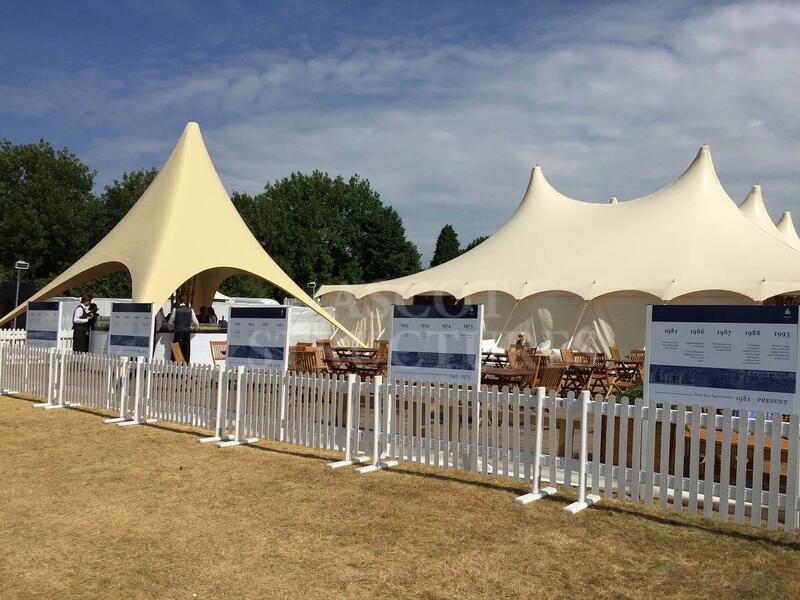 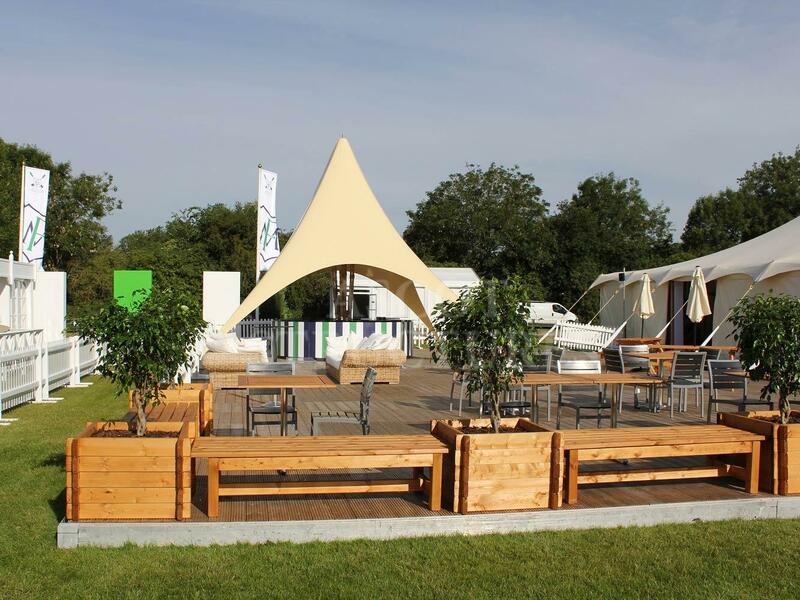 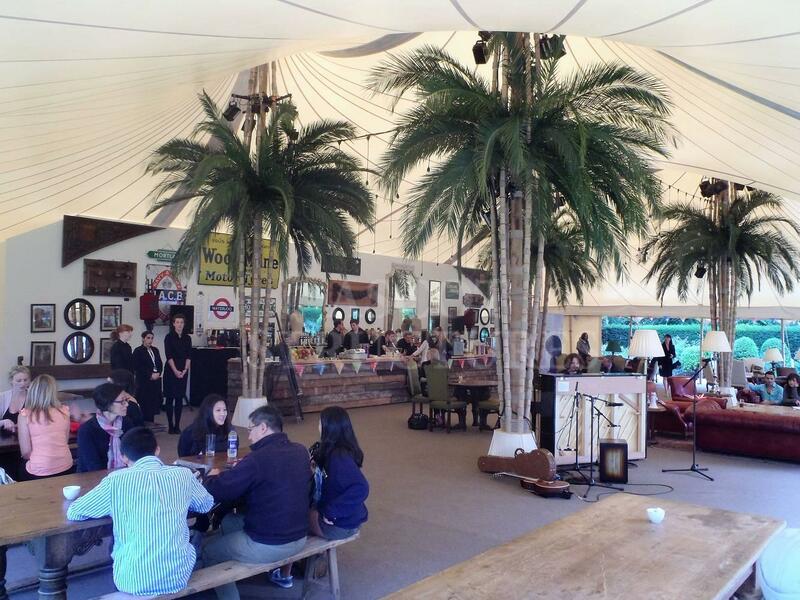 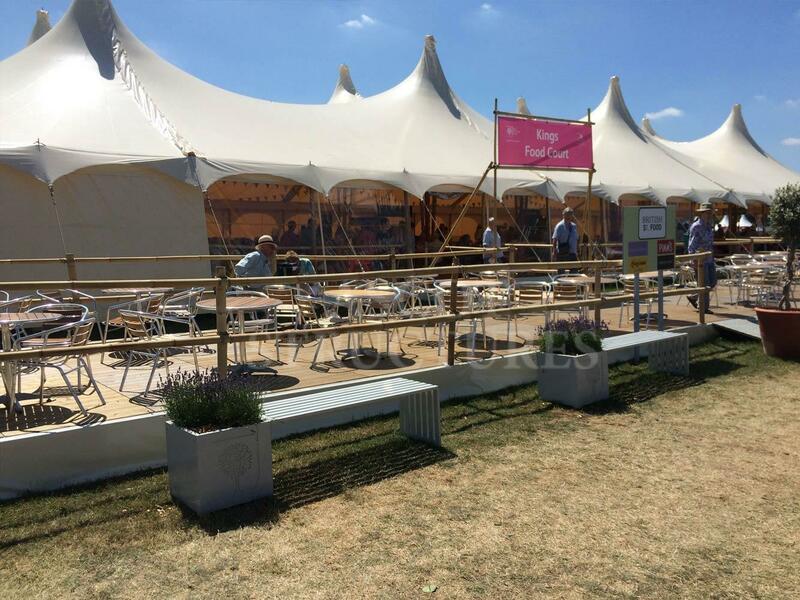 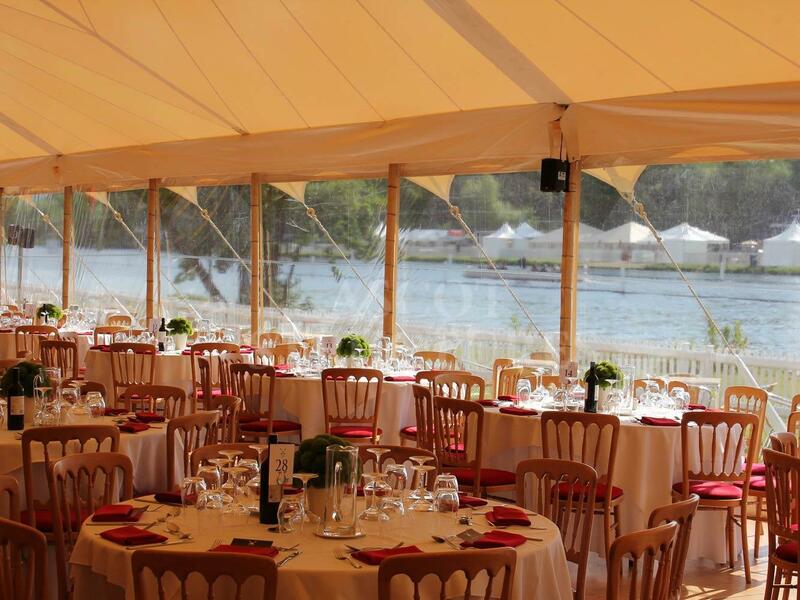 Whether you are looking to make an ethical statement, escape from the clinical monotony of aluminium, reduce your carbon footprint, or simply desire something different, The Bamboo is an innovative solution for any outdoor event.